The Periodical is a periodic exhibition of the work of OS members and friends. The first volume is available in print. 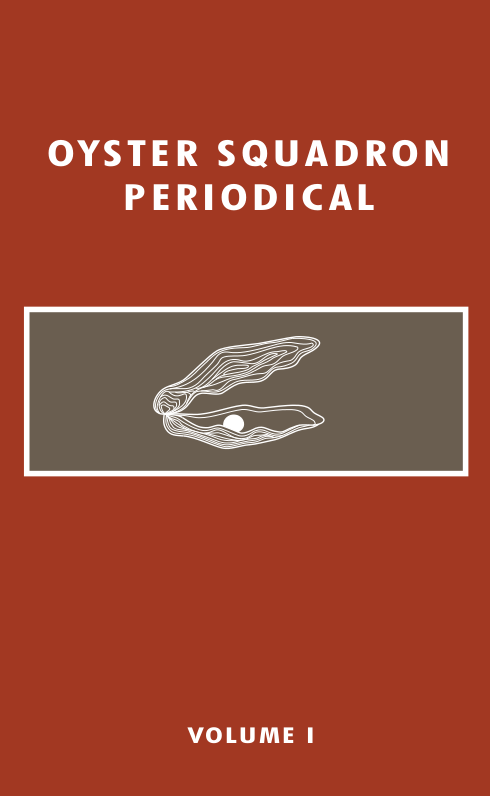 The Oyster Squadron gets the most money, a good thing, when you order through CreateSpace using no coupon code. You can also order the periodical through Amazon, but the coupons won't apply. Prime benefits do apply, though, and using this method is the best way to boost the popularity of the periodical in the public eye. If you'd like to respond to something you read in the periodical, email the secretary. It's possible your comments will be answered in the next volume, so be sure to let the sec know if you want your correspondence to remain private. To submit creative work to the periodical, email it to the secretary. Fiction (including poetry), essays and arguments, photographs and drawings, and thoughts are all welcome. Finally, if you like the periodical, please review it on Amazon.